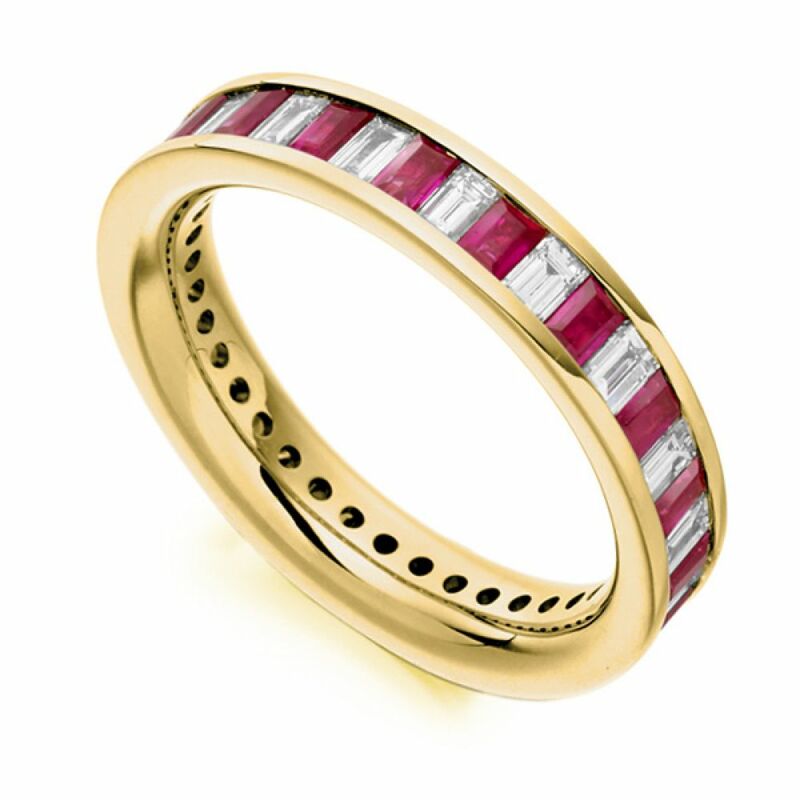 An alternating Baguette cut full eternity ring, set with both Ruby and Diamond, in a channel set design. This fully set Baguette Diamond and Ruby Eternity Ring features precisely matched stones in an alternating pattern for a truly distinctive piece. 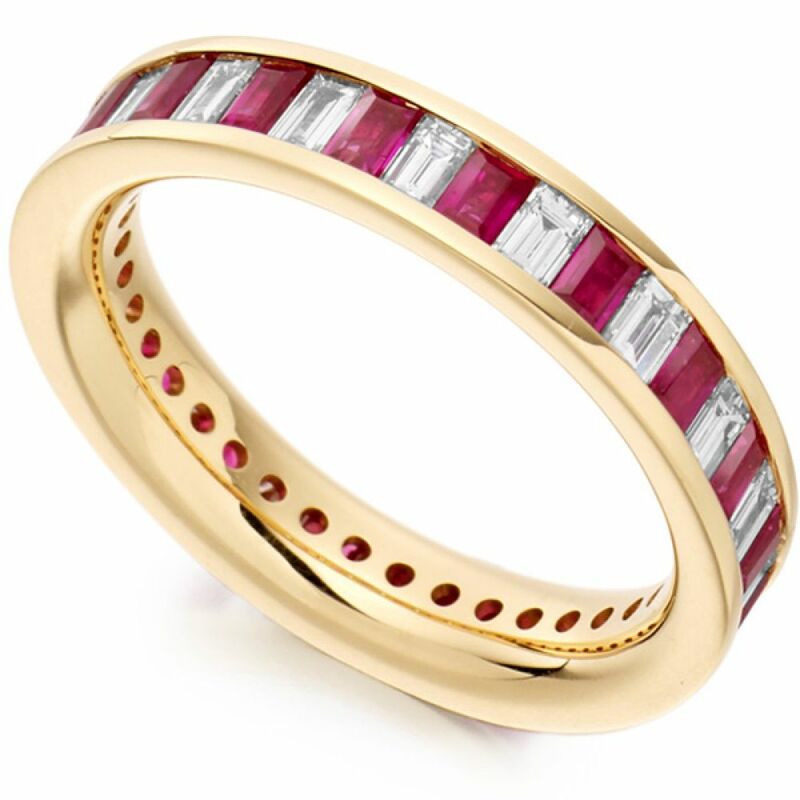 It is sure to make a striking statement with 1.00-carat total Diamond weight and 1.40 carat total in Ruby weight set within a 3.90mm wide court profile band. The Diamonds have been expertly matched and graded F/G Colour, VS Clarity prior to setting. This design is available in a range of precious metals., including 18ct Rose Gold, 18ct White Gold, 18ct Yellow Gold, Palladium and Platinum. This luxurious ring can be created in approximately 3-4 weeks in your desired precious metal and securely delivered in our bespoke packaging to your door.